Douglas Barker Crabtree joined the RAFVR about July 1937 as an Airman u/t Pilot. Called up on 1st September 1939 and already a trained pilot, he joined 501 Squadron at Filton. The squadron flew to France on 10th May 1940 but Crabtree followed next day with the rear party, in Bombay L5813. As it prepared to touch down at Betheniville, the aircraft’s nose went up and the pilot went round again. On the second approach the same thing happened, the pilot appeared to lose control and the Bombay went into a tail-slide and crashed. Four passengers were killed and six injured, including Crabtree. He was treated at the Casualty Clearing Station at Epernay and sent back to hospital in England. Crabtree was back with 501 for the Battle of Britain. In 1941 he was with 616 Squadron and on 3rd July he was shot down over Lille in Spitfire P7980. Sheltered by a French family, Crabtree evaded capture by the Germans. He returned to England after several months, taking back with him detailed drawings of an arms factory on cigarette papers. Commissioned in June 1942 from Warrant Officer, Crabtree did not return to operations but became an instructor. 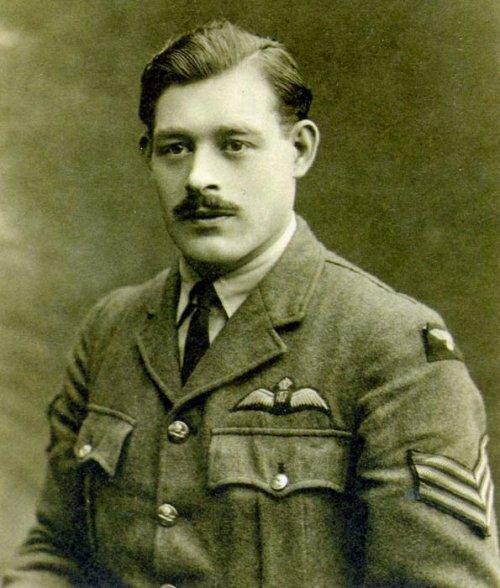 He was released from the RAF in 1946, as a Flight Lieutenant. In 1950 Crabtree was an instructor and manager at Greatham Airport, West Hartlepool. On Saturday 24th June 1950 Crabtree was booked to fly a Proctor Mk.3 from West Hartlepool to Blackpool carrying Edward and Una Hornby and a friend, Phyllis Bell. Because of mist he made a precautionary landing in a field at Tosside, near Skipton, Yorkshire. Once the mist had cleared onlookers observed Crabtree pacing out the takeoff run and examining the surface. However on takeoff the aircraft did not clear a drystone wall, perhaps being overloaded, one wing was torn off and the aircraft burst into flames on impact, all occupants being killed.